A Ray H. Bennett home in 2005. Click on image to be directed to the North Tonawanda Historical Museum's webpage about Bennett Homes. Note "Dresden" in the center right. Similar to the design of the "Rembrant" manufactured by Sears, this home is the "Dresden" designed by the Ray H. Bennett Lumber Co. Built in 1922, the materials for the house were manufactured in North Tonawanda and constructed on-site by a local contractor. A key port on the Erie Canal, North Tonawanda was known as the "Lumber City." Shipped by rail and boat, Bennett Homes can be found throughout the North Eastern United States. This house was built in South Buffalo, New York. The Dresden in 2005, shortly before my purchase. 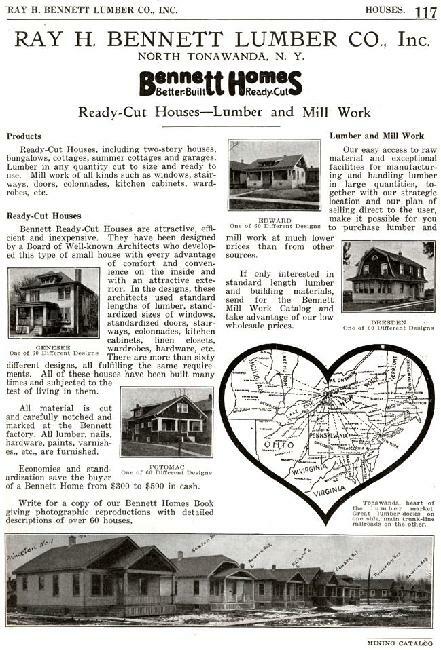 In the Buffalo area, the biggest local supplier of ready-cut homes was the Ray H. Bennett Lumber Co., of North Tonawanda, New York. The company boasted about their designs as being more attractive and impressive than average homes. Their catalog offered more than fifty designs of houses that were previously constructed. 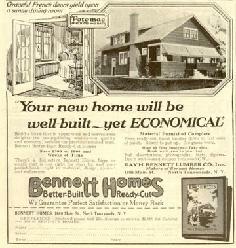 Bennett Homes emphasized economy of construction through standardization of materials. Bennett’s solution for excessive costs of home-building was replacement of the traditional hand method of manufacturing with labor-saving machines. The company had a huge modern mill in the heart of the lumber market with lumber docks on one side and main-trunk railroad access on the other side. The layout of the "Dresden" is identical to the Sears "Rembrant" style sold in the early 1920s. Click image to enlarge: Bennett iron name plate in basement. 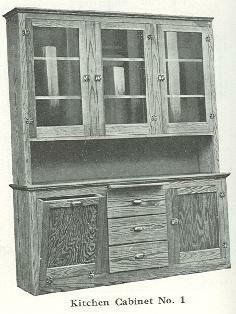 Kitchen cabinet #1 taken from the 1920 Bennett Catalog. Compare to 2006 picture at right. Painted white but unmistakably a Bennett kitchen cabinet #1. Lower bin to left is a pull out flour or potato storage area. Sears, Roebuck and Company and other mail-order catalogs offered designs that reflected popular American architectural styles of the first four decades of the twentieth century. From 1908 to 1940 Sears offered approximately 450 ready-to-assemble designs ranging from mansions to bungalows. Other national companies active in the mail-order business included Hodgson Company, Aladdin Homes and Montgomery Ward. Sears houses were ordered by mail and delivered by train. These mail-order houses became popular because they filled a need for sturdy, inexpensive, modern homes during a period of rapid suburbanization in America. 1921 Ray H. Bennett Lumber Co. Ad. Note "Dresden" located right center. 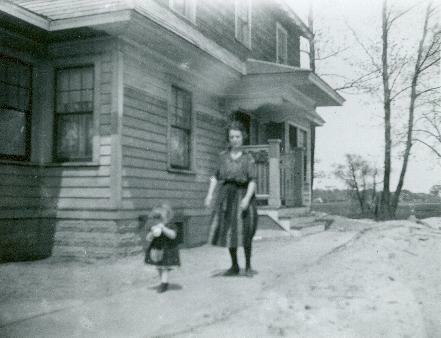 NORTH TONAWANDA - In the years after World War I, a family's hope of owning a home inspired several companies to offer affordable "kit" homes containing all the materials, down to the nails. Although not as well known as kits produced by such companies as Sears, Roebuck and Co. and Montgomery Ward, the Lumber City's Ray H. Bennett Lumber Co. - whose approximately 90 designs for its "Redi-Bilt" houses are found throughout Western New York and the Northeast - is highly regarded for its quality construction, innovative floor plans and classic American designs. Martin Biniasz, owner of a 1922 Bennett home in South Buffalo, said he bought the house a year ago because "I love history." 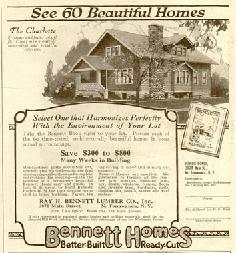 "The plans that I found were similar to a Sears home, but then I did more research and found out it is a Bennett Home. They were built all over the Northeast. The company is a forgotten pioneer in modular home building in America," he said. Biniasz said "lucky for me" the house, built by a contractor for the original German-American owner, "has never received the gaudy renovations of the '50s and '70s that have disguised many classic Bennett Homes." He bought the three-bedroom Dutch gambrel colonial from the family of the original owner, Herman Lasch, a musician and teacher. Biniasz is restoring the house, which has a living room with a fireplace and sunroom to the left of the first-floor central hallway, with a dining room and kitchen on the opposite side. The home has its original brass doorplates and knobs, French doors into the main rooms and gas sconces over the fireplace. Biniasz contacted Donna Zellner Neal, director of the North Tonawanda History Museum, and suggested forming a Bennett Homeowners Association to "assist with restoration information, promote the history of the Bennett Co. and celebrate the hundreds of Western New York craftsmen" who worked on the houses. "The company was established at Main and Islands streets in 1902 and was in business through the mid-1970s," said Neal, noting that Bennett and Stanley streets are full of Bennett houses, including one at 424 Bennett, where the company's founder lived from about 1924 to 1927. Bennett also built a large cedar-shingled house at 209 Niagara Street for his family in the late 1920s, but Neal said she can't verify that they ever lived there. The three-bedroom home, which features black walnut woodwork, a library and sunroom, is for sale for about $360,000. 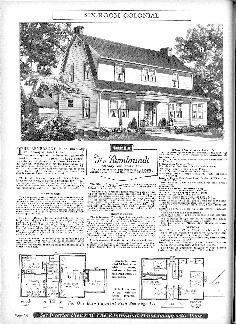 Housing styles from Bennett's 1920s catalog of small homes range from an eight-room "Potomac Colonial" to four-room summer cottages. Also included are plans for single-car garages with names like "Cadillac," "Hudson" and "Buick" signifying the auto desires of Americans of that era. The most expensive was the four-bedroom "Potomac Colonial" at $4,030. It featured a living room with fireplace, dining room and kitchen, and a half bath on the first floor with a porch off the living room. The second floor had four bedrooms and a full bath. Aside from cottages, the most modest was the single-story Kenmore, "a snug, perfect little place," which came with one bedroom for $764 or two bedrooms for $987. Each had a kitchen and living room, but no bathroom. Bennett brochures stated "with all the framing cut to fit by our special notch system, the work on your home can progress speedily and accurately. There is no measuring, cutting, refitting - the only labor required is for fastening and nailing." The 78-year-old owner of a Bennett "ranch-style house" on North Forest Road, Getzville, started building his 1,200-square-foot-home, which has three bedrooms, a kitchen, living-room and bathroom, in June 1957. "The materials were all coded and corresponded to the building drawings. I moved in in November with just some finishing work still to be done. The only modification I made was to make the exterior all brick," added the man, who declined to be identified by name. The cost was $13,000, he said, adding he has had to do little beyond routine maintenance in nearly 50 years. Neal said that some of the approximately 40 Bennett homeowners and former employees who have contacted the museum "donated original blueprints and drawings, building instruction booklets and advertising materials. And some have volunteered for the museum's oral history program detailing how they built their home, or telling of their work for the company." "Many of them remember buying the kit to build the house, although some people just bought the plans and material and had someone else build the house," she said. 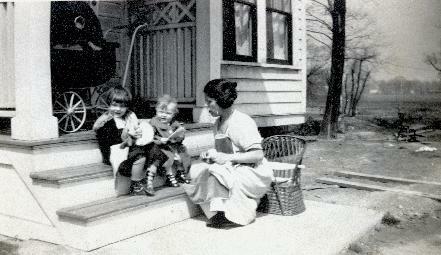 Anyone interested in the Bennett homeowners group can contact the museum at 213-0554.